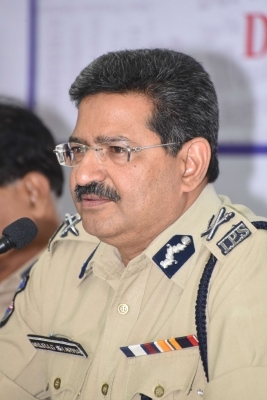 Hyderabad, July 22 (IANS) Telangana police have launched an investigation into threat calls received by Excise Enforcement Director Akun Sabharwal, who is heading the probe into the drug scandal. Director General of Police Anurag Sharma on Saturday said the official lodged a complaint with the intelligence wing. The intelligence officials were trying to trace the calls reportedly made during the last couple of days using Voice Over Internet Protocol (VOIP). The unknown callers said to be speaking in an African accent threatened the IPS official with dire consequences for carrying out the investigation into the racket. The callers even told the official that they knew where his kids were studying. The DGP said if necessary, the security of Sabharwal will be beefed up. He hoped to get some clues in the case in two to three days. Sabharwal is heading the Special Investigation Team (SIT) which has so far arrested 13 accused including Calvin Mascarenhas, said to be the kingpin. Officials suspect the accused had links with international drug peddlers. The accused were reportedly getting drugs from some European countries and were selling them to students of several schools and colleges in Hyderabad and also to some film personalities. The SIT is also investigating the alleged links of some Telugu film industry personalities with Calvin. It has summoned 12 celebrities and has so far grilled four of them. Meanwhile, Excise Minister Padma Rao said Sabharwal would not be cowed down by threats. Home Minister N. Narasimha Reddy said those involved in the racket would not be spared, no matter how powerful they may be. He said the case was being investigated thoroughly and from all angles. He dismissed the allegation by senior Congress leader Digvijaya Singh that leaders of the ruling Telangana Rashtra Samithi (TRS) were involved. The minister alleged that it was during the Congress rule that the drug menace took roots.